The head of International Airlines Group (IAG), the company that owns British Airways, is 'optimistic' about a legal challenge to end crippling strikes. But Willie Walsh, IAG chief executive, warns travellers that passengers could be hit with long-term disruptions should the legal bid fail. Mr Walsh told the Press that if France's air traffic control strikes do not end soon they could risk damaging passenger confidence and bookings. The warning comes after a complaint was lodged last week to the European Commission about France's industrial action, in a coordinated effort by IAG, easyJet, Ryanair, and Wizz Air. On the collective complaint, Walsh said: "This is an example of where fierce rivals come together on a matter of common concern and the interests of our industry," he said. "When you get the likes of IAG, Ryanair, easyJet and Wizz Air coming together saying the same thing and arguing for the same thing, people do take notice." He added he was "optimistic" the complaint will affect change and said "the fact we are prepared to make a formal complaint and pursue legal channels demonstrates the concern". The four airlines claim France's strikes breach the "fundamental principle of freedom of movement within the EU", having already caused tens of thousands of flights to be cancelled this year, impacting millions of passengers. They allege that France is breaking EU law by not enabling flights over the country during strikes, denying passengers their fundamental freedom to travel between member states not affected by strike action. The air traffic control (ATC) strikes are costly for airlines and hugely disruptive for passengers, especially in France, as many UK flights need to use the country's air space or fly longer routes to avoid it. Mr Walsh said the industrial action has been particularly disruptive for IAG's Spanish low-cost airline Vueling, which was forced to cancel more than 900 flights in June as a result of the strikes, impacting around 150,000 passengers. 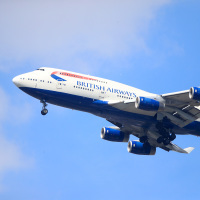 BA has been impacted to a lesser extent, with 45 flights cancelled as a result in June, but the cost to IAG will be revealed in its half-year results on Friday. "It's impacted on business people, families travelling on holidays and people who have had the need to travel for urgent requirements, so it's hugely disruptive and could be avoided," said Mr Walsh. French ATC strikes have increased by 300% so far this year. More than 16,000 flights were delayed in the first half of 2018 alone due to ATC strikes, affecting more than two million passengers, according to Eurocontrol figures. If you're heading away this summer make sure your unique needs are fully covered by checking out our travel insurance options.